Keywords: Studious academic, multitasker, bat enthusiast, closet spreadsheet fanatic, country bumpkin, mediocre musician. 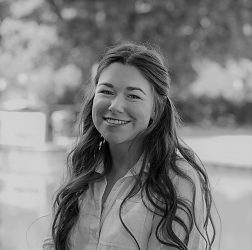 Abstract: Growing up by the coast, surrounded by the rolling countryside of Dorset, I was always fascinated by the local wildlife and moulded my education around a career in ecology. I graduated from Swansea University in 2013 with a first class BSc honours in Zoology, followed by an MSc in Environmental Biology: Conservation and Resource Management, focusing both theses on bats. During my time at University, I also helped to establish and run the Conservation and Ecology Society and worked extensively with the campus sustainability team, undertaking several research placements and volunteering with local wildlife organisations outside of my studies. After graduating, I worked in the education team for a sustainable energy charity; a predominately office-based role. Despite my love for the outdoors, this position emphasised my ‘people skills’ and strengths within project management and administration, working comprehensively with spreadsheets, databases, websites and social media. My role as Ecology Survey Coordinator at Biocensus is a perfect fit, combining both my passion for ecology and allowing me to apply and develop my experience of managing people, projects and data. My main responsibilities involve organising and managing ecological survey schedules on large, fast-paced infrastructure projects (such as High Speed 2) and liaising with client contacts and our extensive network of ecological contractors. A real perk of the job is collaborating with innovative businesses and contractors, and being able to work with, and learn from, incredibly talented ecologists from across the country. Outside of work, you will probably find me by the coast, at a music gig or with my nose in a book.